Assemblyman says sales of the flamethrower are insulting in the wake of recent devastating wildfires in California. In California, you can buy plenty of things which could, if wielded improperly, lead to property destruction, injury and untimely deaths: semi-automatic firearms of various shapes, sizes, and calibers, automobiles that can surpass 200 miles per hour, and propane-powered, fire-spewing weed burners. 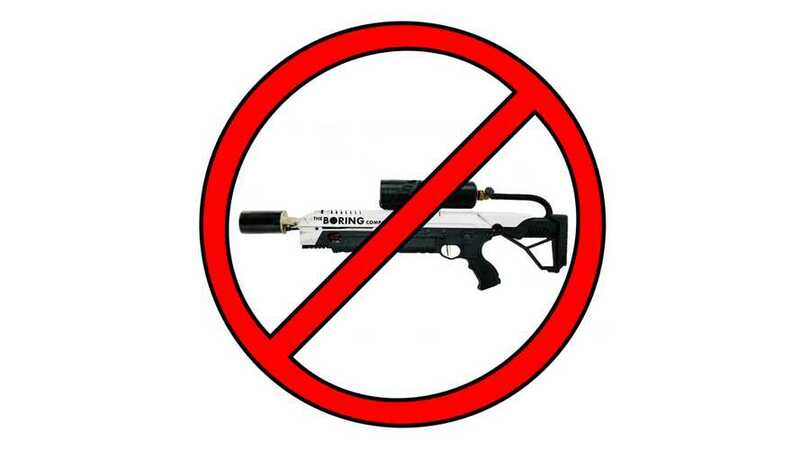 But, if Assemblymember Miguel Santiago (D-Los Angeles) gets his way, you won't be able to purchase a Boring Company "Flamethrower," as pitched the company's CEO, Elon Musk. The politician, who at first thought the fire-starting tool offer was a joke (well, it is, actually, a joke, though also a real thing), took some amount of umbrage at the fact that people can buy the novelty item, and so has promised to take legislative action that would stop the sale of the torch. Apparently the Assemblymember finds the proposed sales in his state insulting in the wake of devastating fires in recent months, and took to Twitter to amplify his outrage and circulate his press release concerning the issue. We've embedded the tweet with press release below. Of course, Twitter being Twitter, Santiago quickly faced some pushback, with tweeps pointing out that the "flamethrower" is nothing more than a propane torch, variations of which are available to purchase in the Golden State. Others chastised him for wasting time on such a spurious issue when the state is facing real, much larger problems. 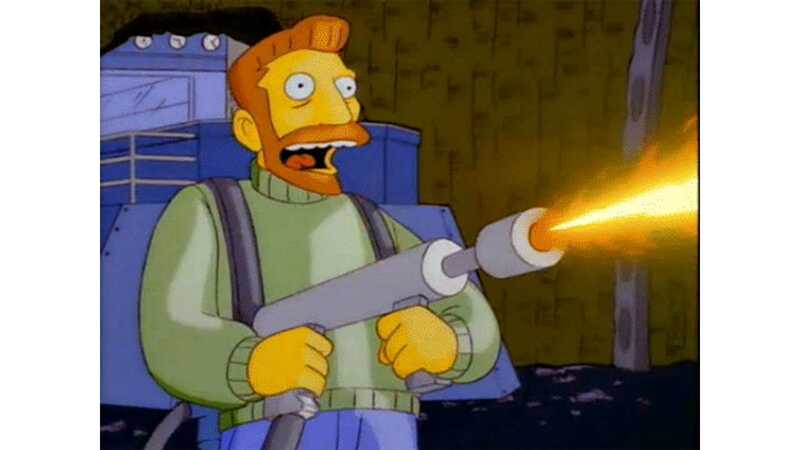 It's not clear if the Santiago has backed down from his position, though he did, later, retweet a popular GIF (pictured right) of Hank Scorpio wielding a flamethrower on the long-running animated show The Simpsons, as well as another which pointed out the Red Dragon BP 2512 SVC 400,000 BTU Weed Dragon Backpack Propane Vapor Torch Kit with Squeeze Valve is available for anyone to purchase from Amazon. In the meantime, Musk announced today that 15,000 Boring Company flamethowers have now been pre-ordered — that's $7.5 million in eventual sales — which is pretty crazy if you stop to think about it. We mean, despite Musk's verbal guarantee of money back if it doesn't annihilate zombie hordes (which will never come), there are not a whole lot of everyday uses for the device, which is more propane torch than flamethrower. For our part, we find the whole thing somewhat amusing, but hope that the exercise hasn't affected ongoing work at any of Musk's other commercial efforts. Also, if Musk wants to keep selling things leveraging his 18.4 million Twitter followers, we hope it involves solar panels for Puerto Rico or some other worthy cause.